« Green Drinks this Tuesday. All Welcome! 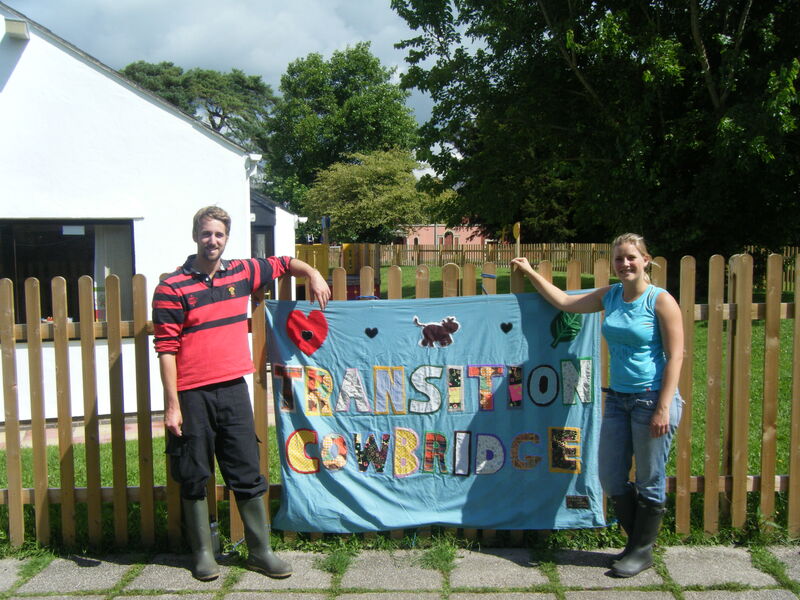 We made a great start on the first work day and we are looking for further volunteers to join us on our next Work Day which will be on Sunday 4th September from 10.30 am. 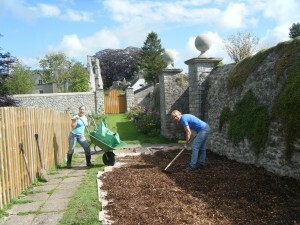 The plot will be mulched and a wood chip path created with a log seating area. Suitable activity for children. Things to bring: waterproof clothes and sturdy footwear, hand tools, buckets and gardening gloves (if you have them), packed lunch and most importantly – flasks of tea and water, cookies or cakes to share will also be most welcomed. For further details please ring Rob or Michaela on 07712196150. First Green Drinks of 2012!! 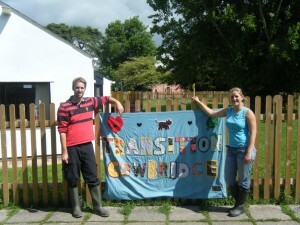 Transition Cowbridge supports launch of local veg box scheme! Transition jumps for joy in recieving funds to help develop community edible garden!